Chope Diners’ Choice 2018 Restaurant of the Year, presented by DBS PayLah! is Fat Cow. Congratulations to the restaurant and team! 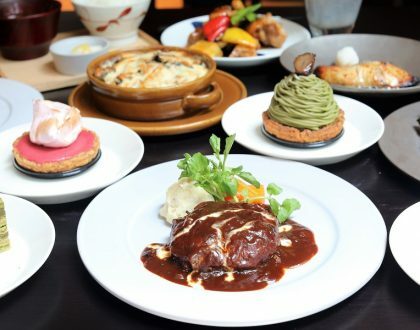 This anticipated annual awards is run by Chope, Singapore’s favourite reservation platform, from 8 October to 10 December, in which diners first nominate, then vote for their favourite restaurants. 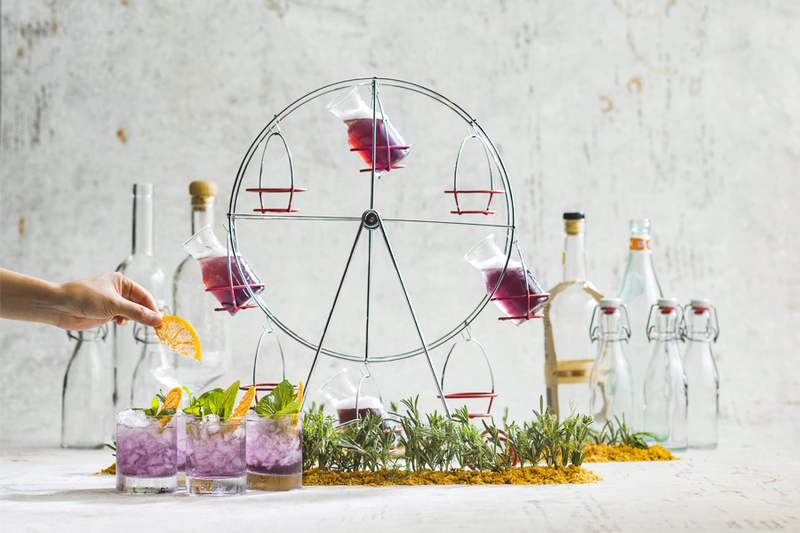 Other nominated restaurants in the same category include Mitzo Restaurant & Bar, Les Amis, Dancing Crab, Tanuki Raw, Wild Honey, National Kitchen by Violet Oon, Peony Jade, iO Italian Osteria Singapore, and The Halia at Botanic Gardens – all winners in their own ways. Fat Cow – Restaurant of the Year, presented by DBS PayLah! 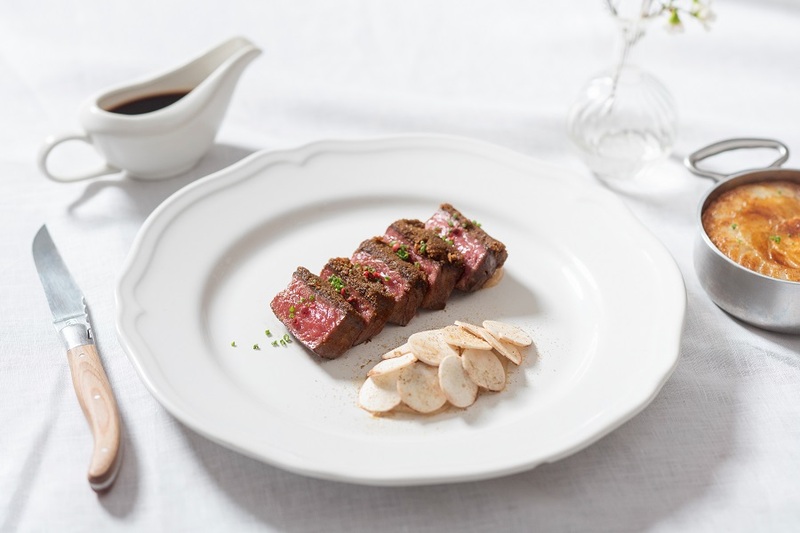 The luxurious Japanese restaurant is best known to serve the finest Wagyu from reputable farms across the globe. 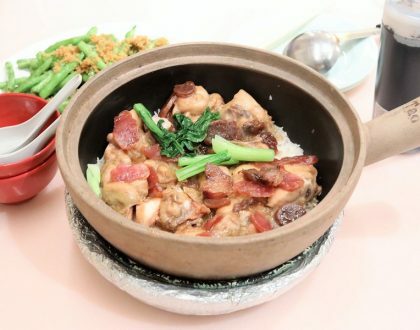 Its name will probably catch your end, in which “Fat” represents luxury and indulgence, and a play on the word “Fatt” which means “prosperity” in Cantonese. 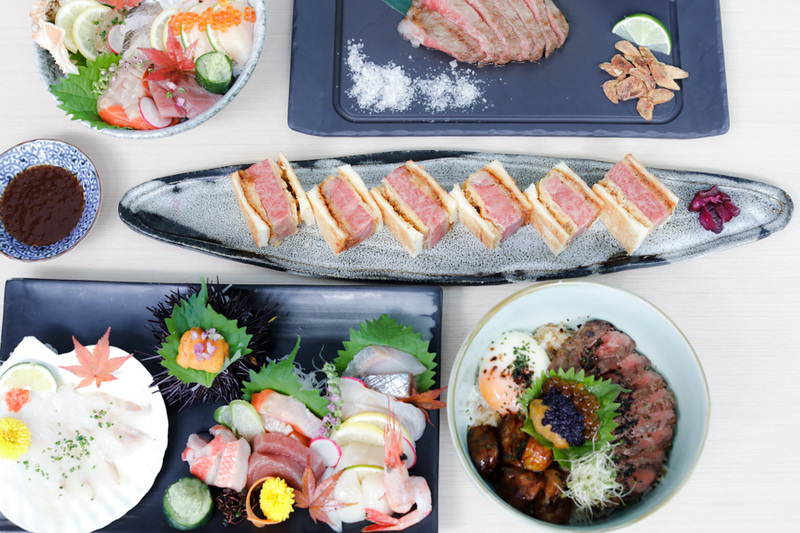 The kitchen is helmed by Chef Shigeru Kasajima, who draws from his background in French cuisine, employing French influences in Japanese cuisine to create unexpected dishes. 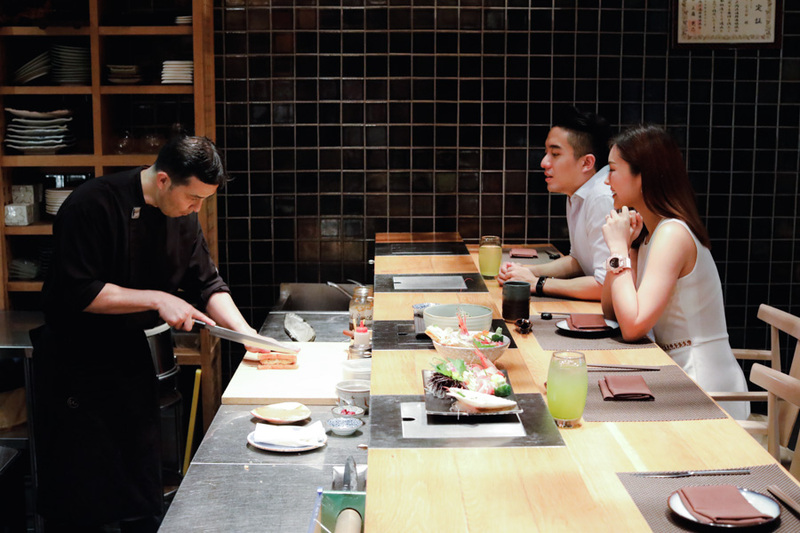 You can often see him at the intimate omakase dining room, in which you can watch his skilful preparation and make interactions and conversations with regards to the food prepared. 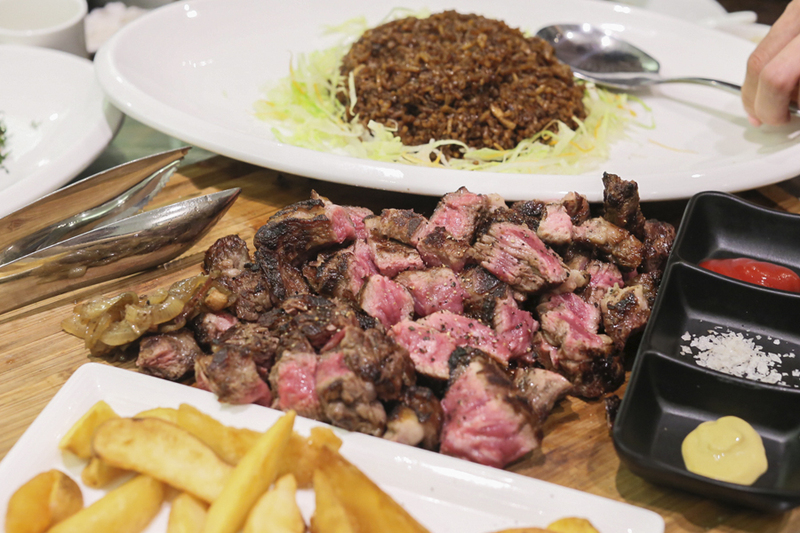 In terms of food, diners can enjoy their choice of beef prepared in different Japanese methods, from Shabu-Shabu, Sukiyaki, Hobayaki or the ever-popular Sumibiyaki (Charcoal-grill). 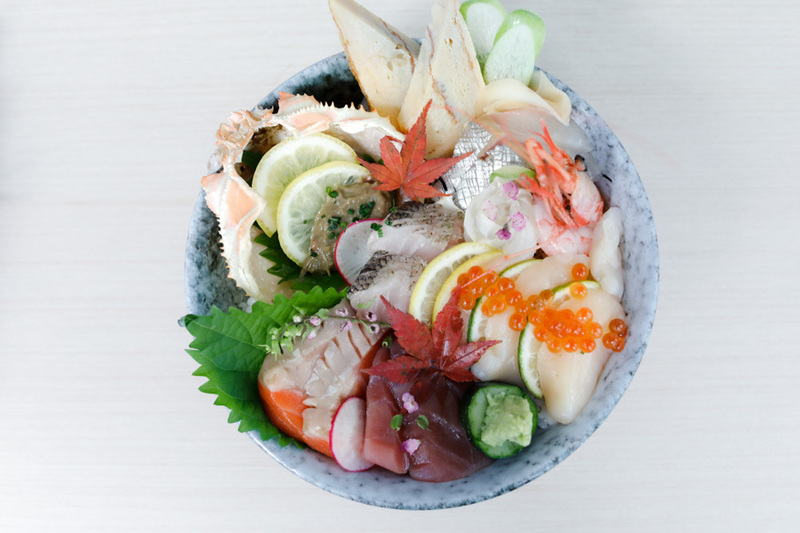 The Sashimi, Nigiri, Cold and Hot Zensai dishes, Udon and Soba, Donburi – especially the Fatcow Premium Donburi, are all popular choices as well. 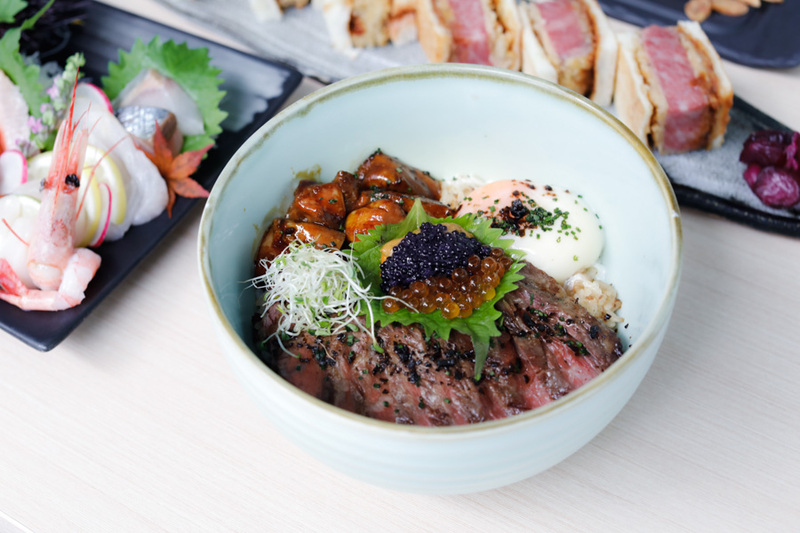 This bowl can probably be considered as the epitome of Wagyu Donburi available in Singapore, receiving positive reviews for the quality ingredients used and lavish take. There are many wagyu beef around, but these slices in the bowl happen to be so tender and incredibly flavourful. It won’t be exaggerating to say I get the feeling of bliss everything I had this bowl, and won’t have a probably finishing it. 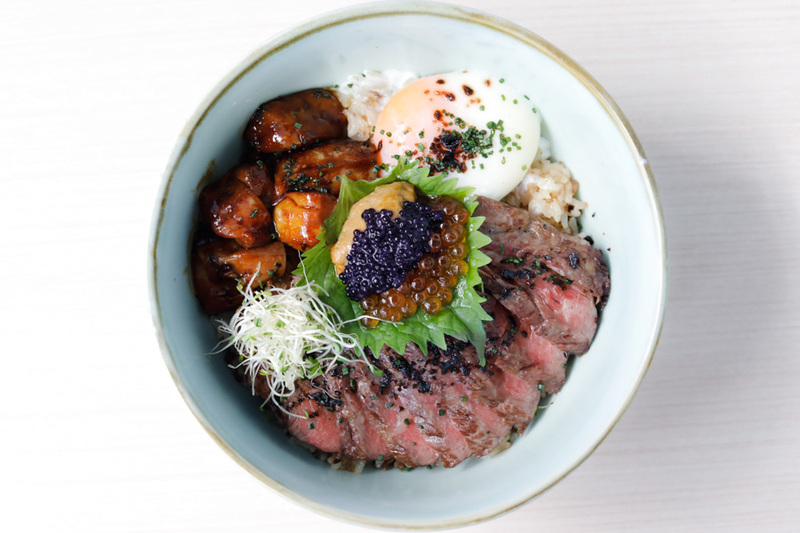 Expect to find opulent ingredients from sliced wagyu steak, uni, caviar, foie gras, to onsen egg on fluffy Japanese rice. During this return visit, I found a new item on the Fat Cow item which is Breaded Wagyu Miyazaki Striploin Sandwich. Before Chef presented the sandwich itself, he took out some of the Wagyu for cutting, and everyone was in awe already of its marbling. 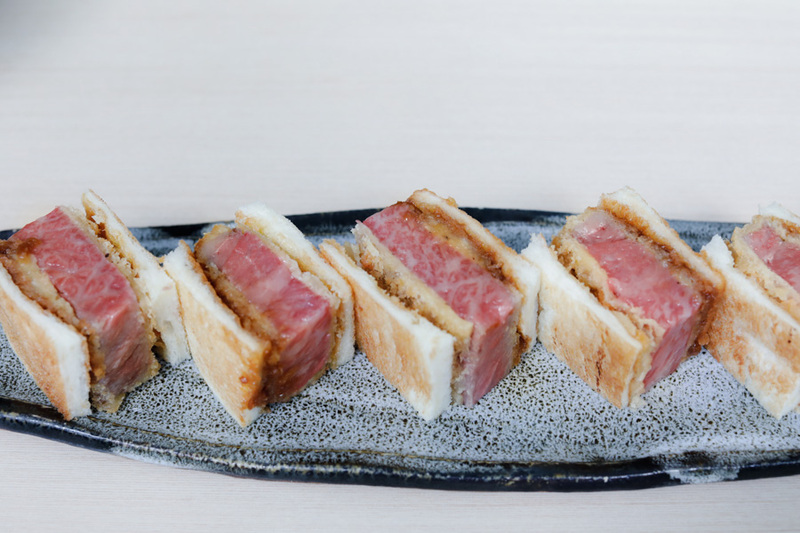 The Wagyu is then prepared katsu style, spread with a special sauce then sandwiched between two lightly toasted fluffy white bread. I would recommend popping the entire piece in the mouth, and feel the succulent texture and mix of flavours within. Take time to appreciate, and feel the happiness. 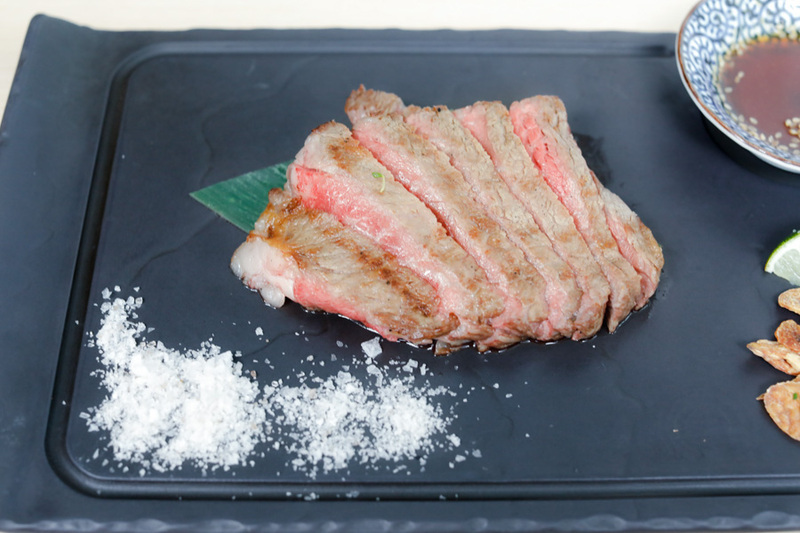 This Wagyu from Shiga prefecture is distinctive from other types, as it is the only kind to have fats with viscosity. If you love beef, then you should try the OHMI beef at least once in your life and experience that beautiful marbling, soft texture, and smoothly sweet flavour. Other handpicked Japanese Wagyu selection available include the Iwate Grade A5 Ribeye (from $148++, 150g), Saga Grade A3 Tenderloin (from $98++, 110g), to Sirloin (from $120++, 150g). 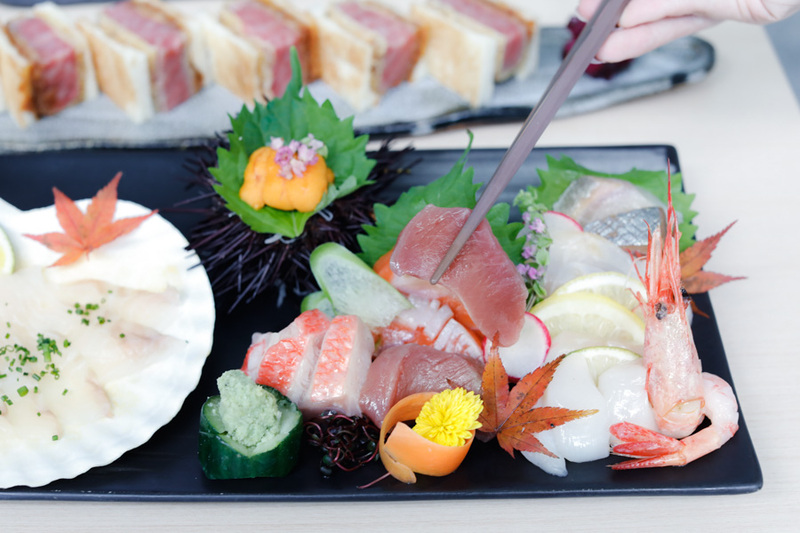 An assortment of Chef’s premium selection of sashimi, from the vibrant salmon, firm fatty maguro, sweet-tasting ebi to creamy uni. Chef’s choice of the day features the finest seafood over sushi rice, presented artfully with the freshest ocean catch served on a bed of quality rice. 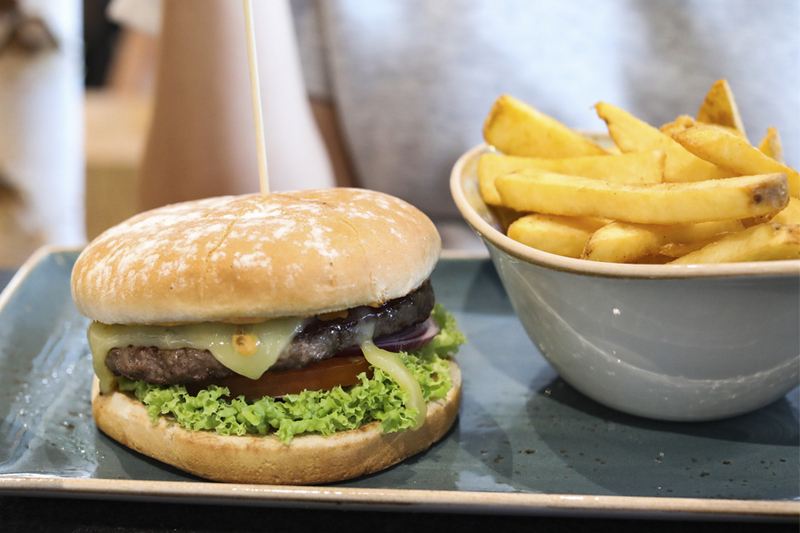 The German gourmet burger joint is known for its burgers made with their own range of house-made sauces, served between multi-grain or sourdough buns. Not to mention their beautiful setting as well! Stylish and modern cocktail bar located at Fairmont Singapore, with crafted drinks paired with innovative modern tapas. 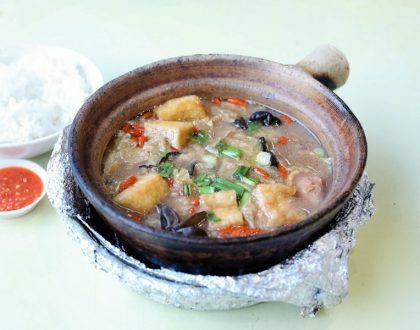 Famous for its brunch dishes, this restaurant needs little introduction. Its strength is in its large range of savoury and sweet all-day breakfast dishes, includes a strong line-up of inspired vegetarian dishes. The Michelin Bib Gourmand listed restaurant has been one of my favourite zhi-char places, serving its signatures of US Black Angus Rib Eye Beef with Heart Attack Fried Rice. Its version on Hokkien Mee is still one of my favourites. 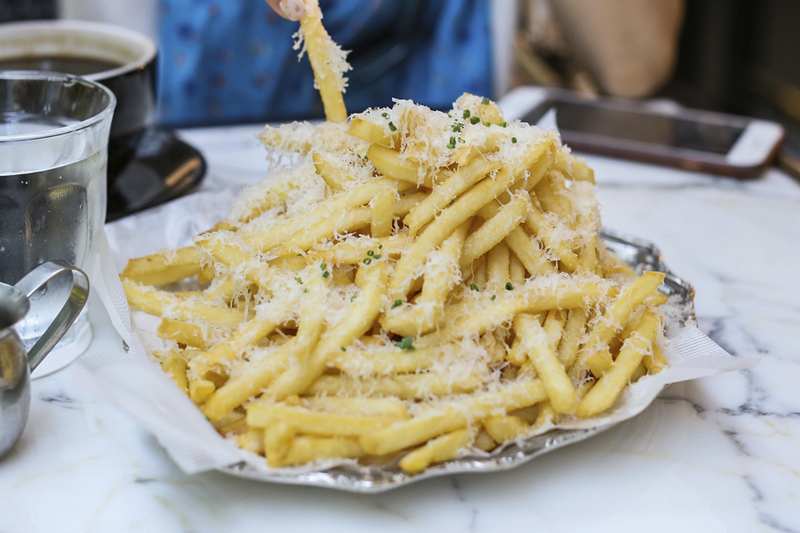 The café that started the whole Truffle Fries trend in Singapore, serving up local-Western fusion cafe fare in beautifully designed, modern laidback environment. 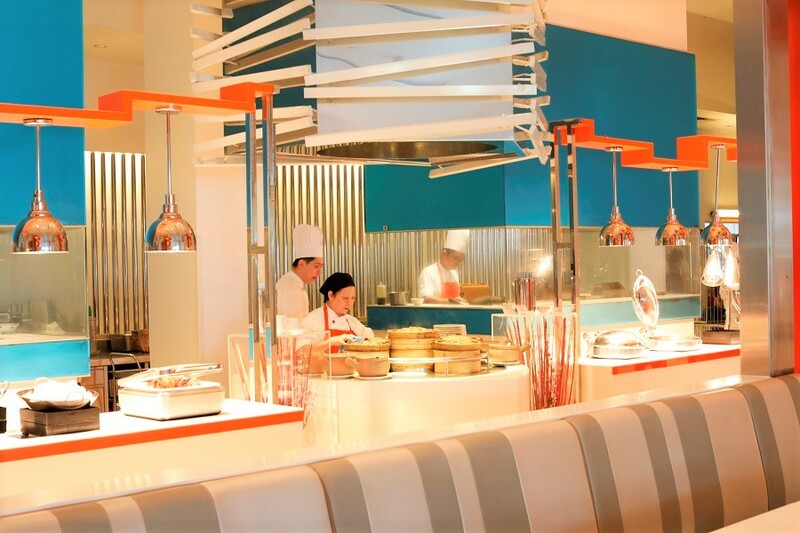 The Shangri-La Hotel’s signature all-day dining buffet restaurant, known for its 16 live stations showcasing different cooking styles. All that food in one place – how can anyone resist!? 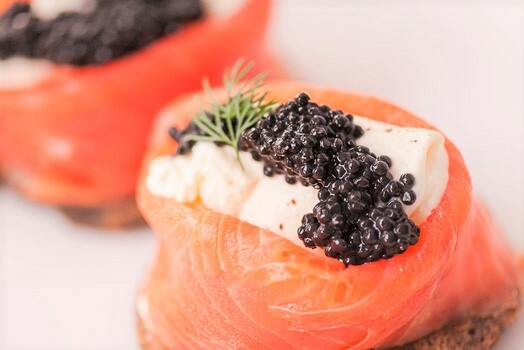 Indulgent food with menu created by world-renowned Chef Jean-Georges Vongerichten. 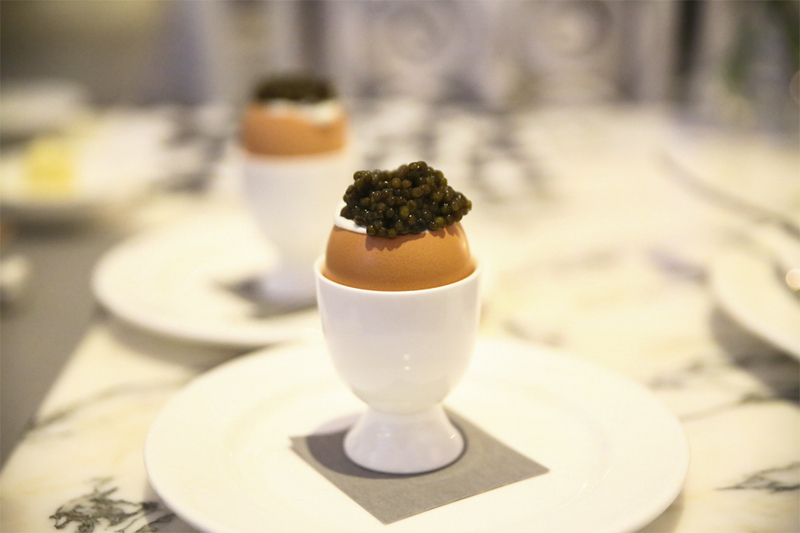 Go for the Egg Caviar, and the Black Truffle and Fontina Pizza. For your romantic dates, this restaurant tucked away in the lush greenery of Dempsey, set in a quaint chapel, is the perfect go-to! 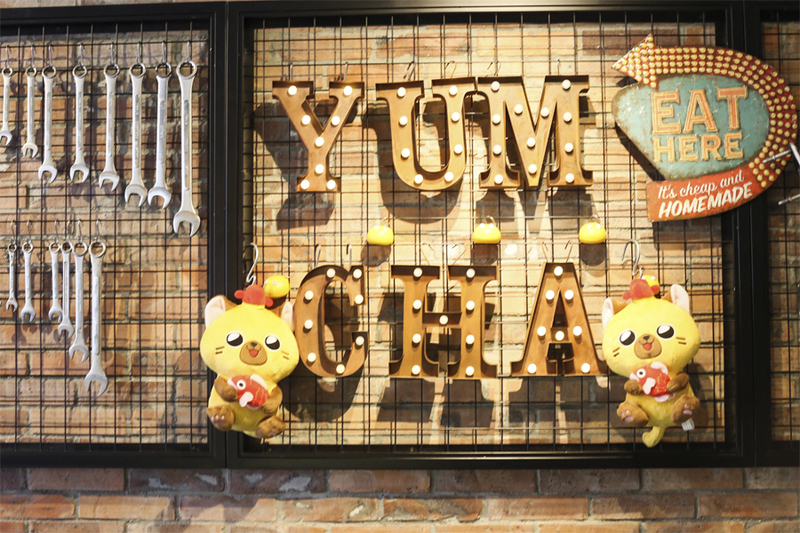 I happened to just visit this restaurant in Hong Kong, located in areas such as Central and Causeway Bay. 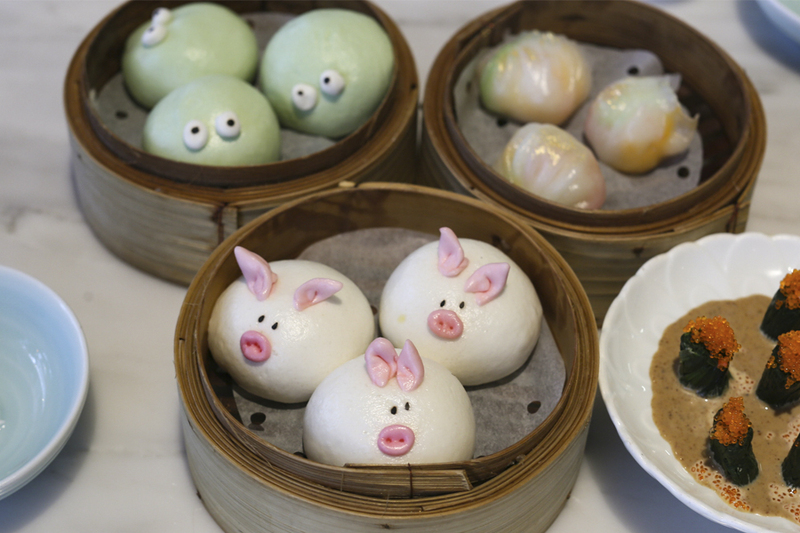 Other than casual Cantonese dishes, YUM CHA is also known for its playful and creative take on dim sum items. ST Food and ONE FM are the official media partner and radio station, respectively, for Chope Diners’ Choice 2018. Visit dinerschoice.chope.co or download the Chope app to find out more! * This entry is brought to you in partnership with Chope.